FORT WORTH, TX -- Hail the size of golf balls killed several exotic birds at the Fort Worth Zoo as a powerful storm slammed North Texas on Thursday. The early-morning storm also broke windows, including skylights at the zoo, and damaged police vehicles in nearby Arlington. 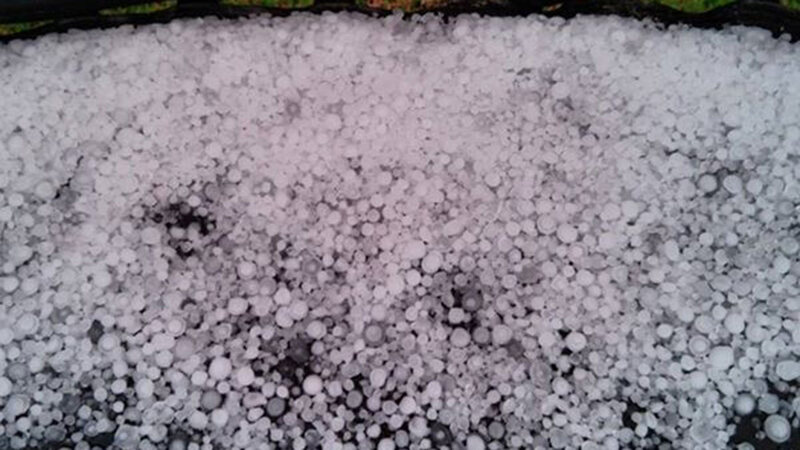 The storm left behind hail piled up along roadways and blanketing fields, and slick roads for commuters. Many zoo staff members were in early in anticipation of large crowds during spring break, and they were able to rescue several injured birds, spokeswoman Alexis Wilson said. But five flamingos, a pelican, an ibis and a swan chick died, she said. "They were all in the water where they usually are," Wilson said. "We have probably 60-something flamingos that are on exhibit, and they don't come in, they stay out." The storm caused a two-hour delay in the zoo's opening during an especially busy time of year. Staffers in early also were able to help clean up damage areas, Wilson said. The hail also broke the rear windows of several police patrol cars in Arlington, just east of Fort Worth. The police department used its official Twitter account to share photos of the damage and of the hail, noting that large hail in the area "blanketed the ground." The storm is the latest to hit Texas, where flooding sparked by several days of heavy rains last week has displaced thousands of people in the southeast part of the state. The high waters continued to cause traffic delays Thursday along Interstate 10, which has been intermittently closed because of flooding. Gov. Greg Abbott has issued a disaster declaration for much of the region.